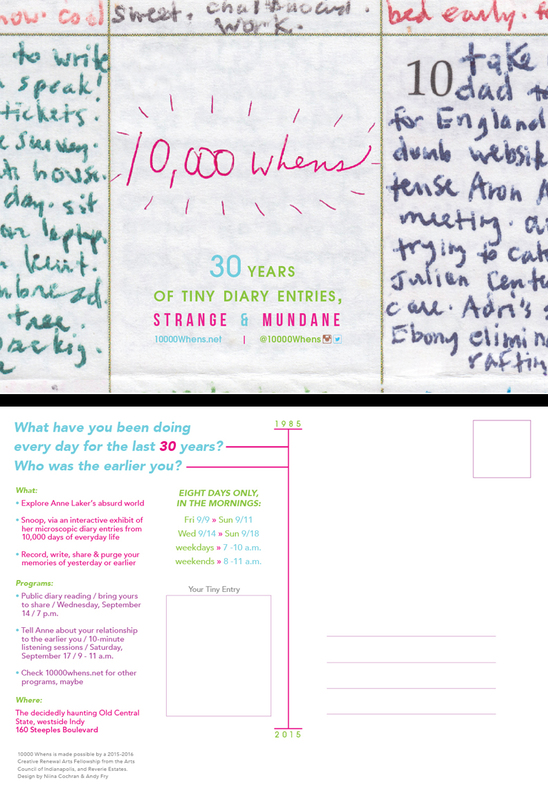 10,000 Whens is a project inspired by Anne Laker's tiny diaries that she has been keeping since 1985 (an Indianapolis based writer). 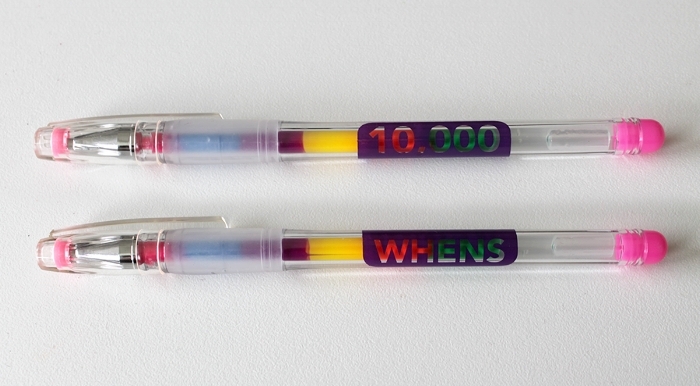 That's more than 10,000 days of everyday life, written in brief, in fruit-colored pens. I co-developed the overall design, concept, feel, and implementation of the exhibition and promotional materials.